Cakes So Simple wants to give a big thank you to all the brides and grooms that have helped us achieve the wedding wires couples choice award for the third year. (If you do not know what this award means, It is only given to the top five percent of business in the country. )I can not tell you enough how much each and every couple means to us. The awesome reviews we receive has been a driving force for us. We strive for excellence and to put our clients needs and wants above everything. 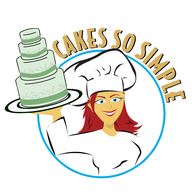 Cakes So Simple wants to be your number one choice in cakes, cookies, cupcakes, cake pops, dessert bars and much more. In addition to winning the the couples choice awards we have also been voted Best of Brevard 2015. We couldn’t have done this without the support of every person who has tasted our amazing cakes, cupcakes, cake pops, cookies, dessert bars and more. We thank you all who voted and hope you look for us again next year at voting time. I would like to thank all the other wedding professional that continually refer clients to us. I have to give a big shout out to Kelly Connelly. She is a new associate working with us now and she is absolutely amazing. She only had six months experience when we hired her. Now she is baking and taking orders and decorating cakes at an experience level far beyond the one year she has actually been baking and making cakes. Her willingness to learn, her attention to detail, her ability to take instruction with out being disgruntled, her honesty and general great personality have been a big part in helping us to achieve the awards we have so far. I am truly blessed she walked into the store that day. Thank you Kelly Connelly. Phil Sanderson is another person I have to give a big shout out to. He is my biggest supporter. He is a driving force. He is the one that is there at the end of a hard day or hard week. He is the one that shares my happiness and pushes me to continue to strive for excellence. He challenges me to be even more creative. He helps come up with ideas of how we can continue to move forward and continue to grow. Thank You Phil Sanderson.